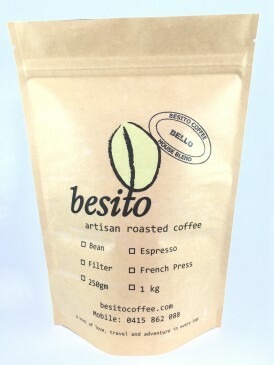 Buy Local Fresh Roasted Coffee. A Hint of Love, Travel, Adventure In Every Cup. 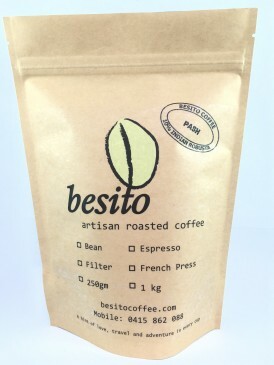 Besito Coffee is based on artisan philosophies, a small batch-roasted process by Miles Priestley, whose love of coffee shines through whenever he has a chance to talk about it. It’s this passion and attention to detail which transcends into each roast, flavours that linger and aromas which awaken the senses beyond your imagination. Imagine ordering your coffee from us online, envisage us roasting, preparing and packaging your order with love, entrusting it to the coffee angels who will deliver it to you as quickly as possible, so you can begin your own coffee making ritual with your carefully selected beans. Kick-start your day with a taste, sense and aroma which start your day with a taste sense and aroma which makes you think “Ahh….”. 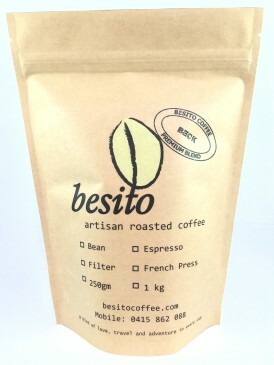 Besito Coffee. A little kiss in every cup. Videos and testimonials — oh my! 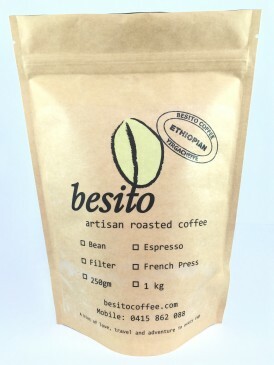 Besito Coffee is one of the best coffee brands on the Gold Coast of Australia. We sell our local, freshly roasted coffee on our website and at the local markets and events we attend on the Gold Coast - come say hi, we'd love to meet you!